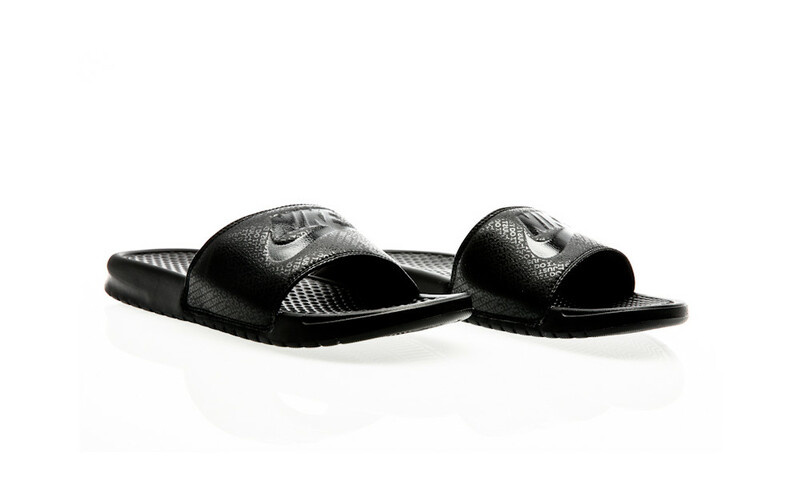 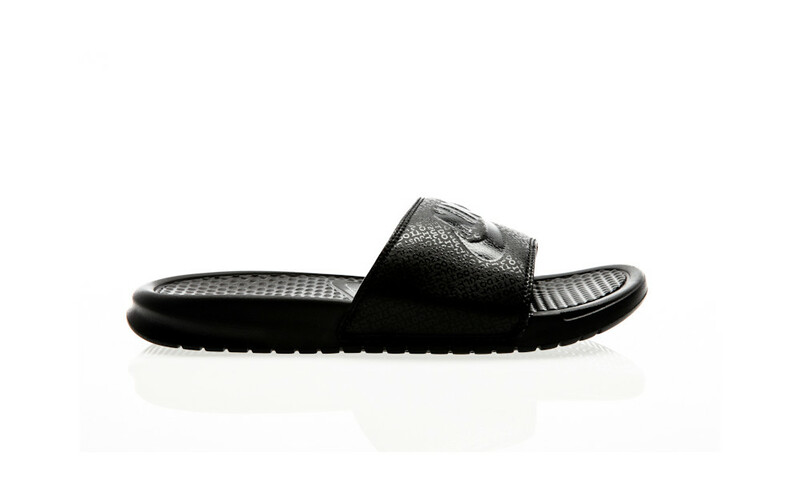 The Nike Benassi Just Do It Men's Sandal is a fun-weight sports flip-flop with a Nike logo embossed on the strap. 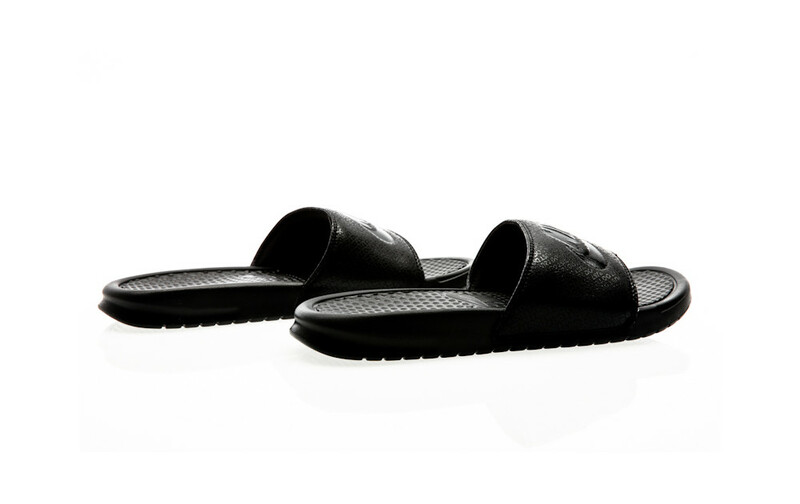 The midsole's soft foam and jersey lining provide comfort, so you can enjoy a relaxed and first-class wearing experience. 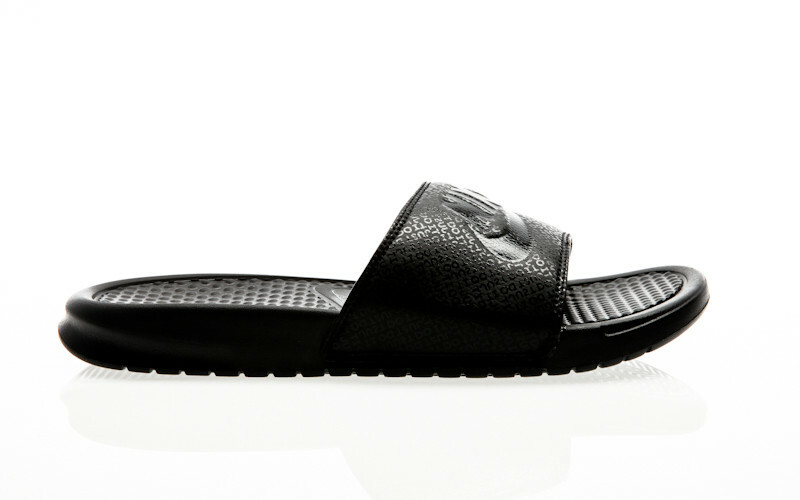 The one-piece synthetic leather strap features a jersey lining for a soft feel. 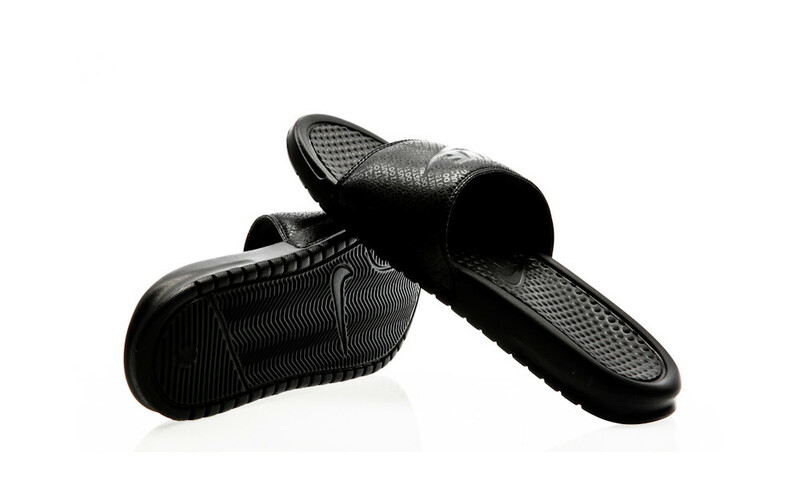 The injected Phylon midsole also serves as an outsole for lightweight cushioning. 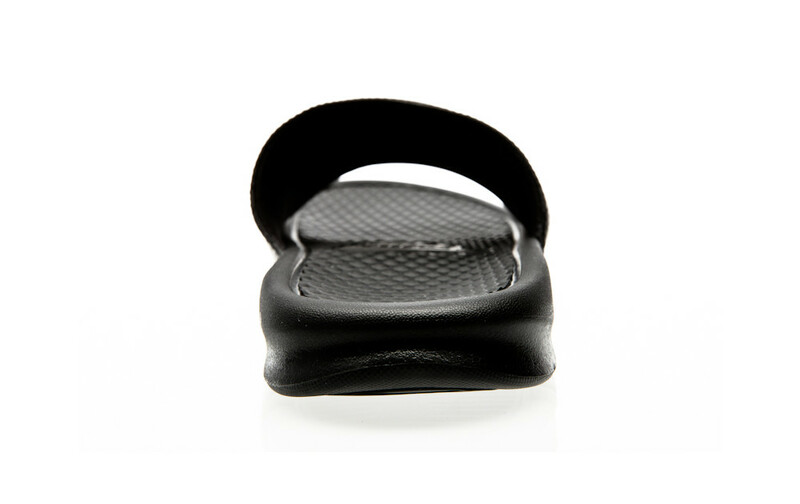 Flex grooves support the sliding movement of your foot.